This gorgeous combination of pink flowers says the right thing, every time. Lush, fragrant, delicate and timelessly beautiful. Our posy comes beautifully gift wrapped with ribbon and of course needs to be placed in water on delivery. Or you can have it delivered in a water filled vase, just add a vase during checkout. 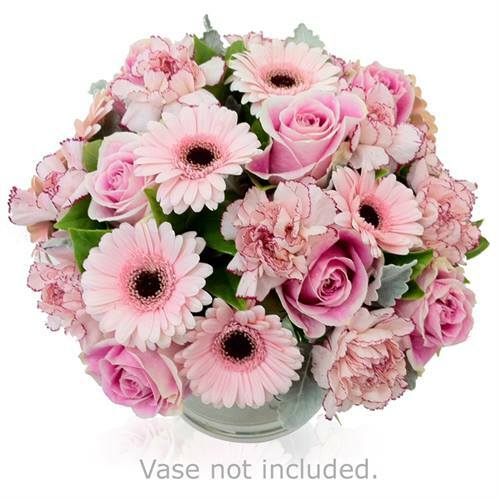 Perfectly Pink Posy This gorgeous combination of pink flowers says the right thing, every time. Lush, fragrant, delicate and timelessly beautiful. Our posy comes beautifully gift wrapped with ribbon and of course needs to be placed in water on delivery. Or you can have it delivered in a water filled vase, just add a vase during checkout.